Richard William Newhouse II (not Jr. – this upsets dad), was born December 19, 1973 in Mercy General Hospital in Santa Ana, CA. 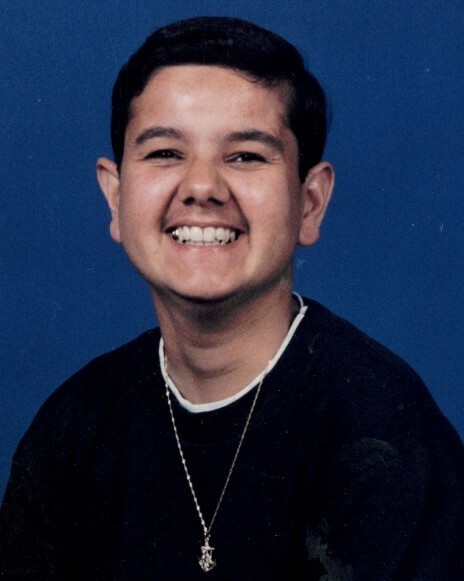 Preceded in death by his sister Debra L. Newhouse, his loving memory is cherished by his parents Richard William Newhouse and Maria Hortencia Newhouse; his sisters Brenda K. Cepeda, Jacqueline Newhouse Arias, Hazel M. Newhouse and Lorraine Newhouse and his beloved nieces and nephews. A devout Catholic, Richie always helped hand out bulletins after mass. He loved riding his bike around town and especially to McDonalds to get his Big Mac with tomato, no cheese and a strawberry shake. He was an avid sports fan and loved the Dodgers, Dallas Cowboys and the Lakers.